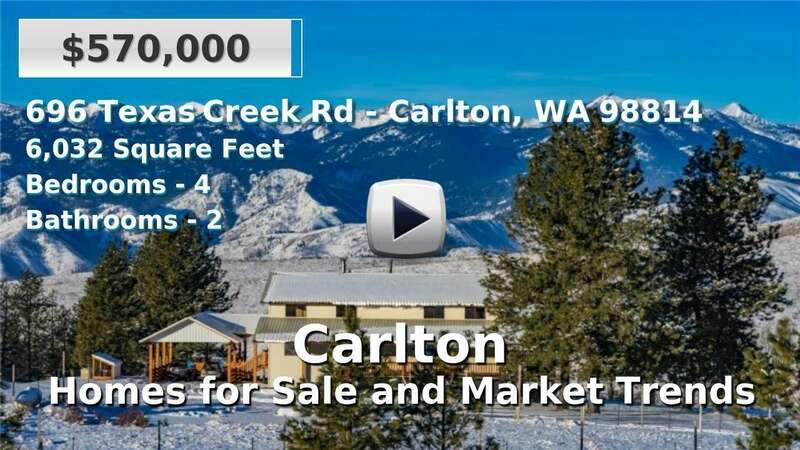 The unincorporated community of Carlton is situated near the Methow River in eastern Washington. The average homes for sale here tend to be rustic style, single-family residences on acreage. The Mehow Valley Highway offers residents easier commutes for out of town trips. Less than a 15 minute drive north is the town of Twisp, offering locals shopping, entertainment and career opportunities. 3 Beds | 1.75 Baths | 1377 sq. Ft.
2 Beds | 1 Baths | 1004 sq. Ft.
4 Beds | 2 Baths | 6032 sq. Ft.